Trees and forests in general, have played an important role as symbols of strength, kinship, growth and wisdom. For instance, Pines (Pinus spp.) have permeated into the folklore of many cultures, being associated with immortality, steadiness and resilience possibly due to their successful adaptation to diverse and often harsh environments, as well as their longevity in nature. The worship of evergreens predates Christianity as evidenced in sites from Ancient Greece and Rome. In Greek oracles, the rustling of the evergreen and oak leaves was believed to be the voice of Zeus. This eludes to the evocative quality of these trees, which as Schroeder (1992) eloquently states, relates to deep experiences of awe, and awe can be understood as the experience of spirit. Among the Ancient Maya, the pine also had cosmological attributes, such that pine wood was an important commodity traded to build temples and to replenish ritual paraphernalia. Pine charcoal was preferred over other material for torches used in ceremonies. Even in geographical areas where pine trees may not have grown naturally (Morehart et al 2005). The act of burning pine represented an offering of sacred food to deities (Morehart et al 2005), which emphasizes the spiritual qualities attributed to these trees. The “evergreen” nature of pines which enables them to retain their green foliage during winter or dry seasons also represents triumph of life over darkness in some Abrahamic religions. For example, pines are widely mentioned in theological discourse and scriptures including Isaiah (60:13) which notes that pines and fig trees inhabited the “good lands” of Lebanon – a place home to those granted in Grace. Additionally, it has been suggested by some scholars that the first Christmas or Nativity tree was likely a pine or a spruce tree meant to symbolize life and the warding against evil (Gwendolyn 2018). The animist traditions of Japan, China and Korea share a veneration of the pine tree as a source of longevity, virtue and masculine power. The Japanese term Matsu loosely translates as “waiting for the soul of a god to descend from heaven”, which relates to the Shinto belief that pines are ladders used by gods to ascend to heaven. Because of this godly connection, pine twigs arranged on bamboo trunks are affixed to doors during New Year to symbolize Kadomatsu or the pine gate, through which gods would channel their blessings to earthly dwellers. But the symbolism of the pine does not end there. After the 2011 tsunami over Tohoku, Rikuzentakata city and the surrounding forests were completely devastated except for one pine tree. This tree became a national symbol of resilience and spiritual re-awakening such that it stood as a beacon during reconstructions efforts. 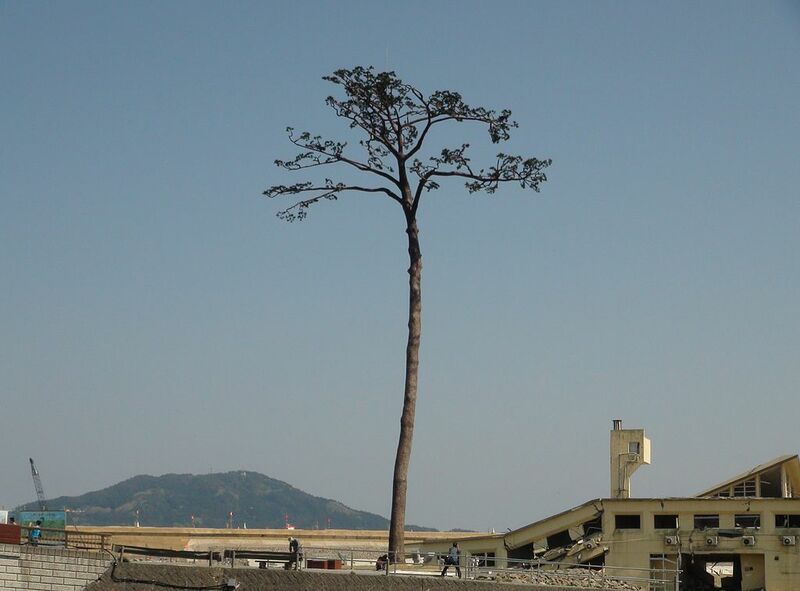 Photo of the “Miracle Pine” which Survived the 2011 Tsunami over Tohoku, Rikuzentakata City. Spirit is hard to define. It is easier to describe a spiritual experience depicted using symbols than to define the nature of spirit (Schroeder 1992). A spiritual experience is often equated to the arousal of emotions triggered by something that cannot be grasped. The resulting feelings of awe, wonder or even fear are associated to ideas or creative expressions, which engender symbols. Pine trees are great examples of the intermingling of symbols and spirits manifesting in myths and religions. Scientists tend to avoid discussions of spirit and the spiritual because these can’t be measured, seen or categorized, let alone predicted. Yet scientists, just as anyone else, can experience awe while in contact with trees. Harlowe and Harrar (1958) in their dendrology textbook, referred to experiencing reverence when walking along a grove of rare sequoias which they described as “patriarchs whose gigantic red trunks are like the supports of some vast outdoor cathedral”. Although organized religions are seeing the size of their audiences dwindle in Western countries, spirituality seems to be catching up (Dallmayr 2003). So, can we encourage experiences of awe and wonder to rekindle with tree spirits and as an extent encourage environmental protection? This is a fascinating question. I had an evocative experience similar to the one described by Harlowe and Harrar while walking along a grove of white pines near my city in Southern Ontario. This lead me to seeking further experiences. A transformative moment arrose when I had the privilege of learning about the symbolism of the white pine in the Haudenosaunee tradition (Six Nations Confederacy). In a very elegant manner, the Haudenosaunee intertwine the anatomy of the white pine with their history, politics and spirit. In my case, acquiring new knowledge brought not just information but also a sense of appreciation and more importantly, a new way of perceiving trees. Let me begin with some background. For the Haudenosaunee nations, law, society and nature are equal partners in their democratic rule (Haudenosaunee Confederacy 2018). Interestingly, the Confederacy’s pillar of Peace is symbolized by an eastern white pine (Pinus strobus L.) which is called The Tree of Peace. The iconography of the Tree of Peace includes four symbolic roots, each spreading to the four cardinal points, north, south, east and west. The four roots are interpreted as guides to other peoples who would want to join the Confederacy and take refuge under the long protective branches of the Tree. The number four also symbolizes the four winds and the four sacred medicines, tobacco, sage, cedar and sweetgrass (Haudenosaunee Confederacy 2018). All this speaks of the welcoming, protective and unifying core principles that transcend from the Haudenosaunee sacred beliefs and respect of nature into social and political structures. The observance of plant sacredness has many connotations, one being the acknowledgement of the unique and transcendental role that each species plays in its ecosystem and the perceived identity that each species holds in people’s everyday life (Haudenosaunee Confederacy 2018). The symbolism of the white pine is also noted on the fascicles (bundles) of five radiating leaves which represent the five founding Nations of the Long House joined together as one, the Mohawk, Onondaga, Seneca, Oneida and Cayuga (Sheridan & Longboat 2006). The white pine is one of the larger pines native to North America, providing food and shelter for several small mammals and birds, which underscores its significant ecological importance. 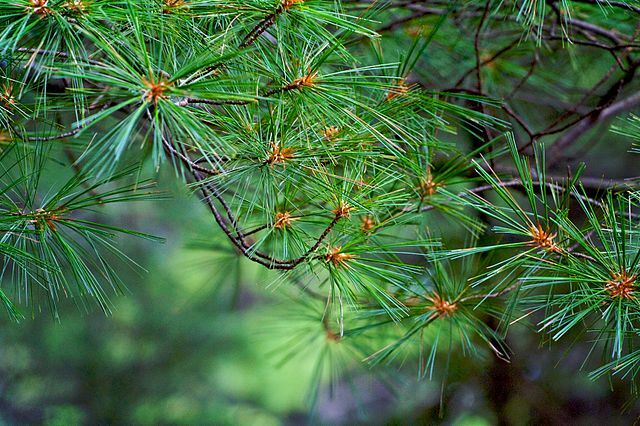 The white pine has also medicinal properties, and while the needles and young cones are a rich source of vitamin C and other phytonutrients, the sap has been traditionally used in wound healing for its antimicrobial qualities (Frey & Meyers 2010). These health-giving properties were shared by Indigenous peoples with the newly arrived Europeans who since early colonial times used the white pine as medicine and building material. For example, since the trees can grow to be up to 35 metres tall, the British Royal Navy used them to make masts for their ships (Queen’s Printer for Ontario 2018). Also, white pine resin is an important source of turpentine, while its lumber and wood pulp are significant contributors to the contemporary global economy (Schroeder 1992). It is interesting however, that the colonists and by an extent us, the current non- Indigenous inhabitants of the New World include the white pine in our everyday lives, yet we rarely pose to reflect on its gifts. Sadly, although not surprising, as I thought about the new knowledge gained about the white pine and its meanings among the Haudenosaunee, I saw how the utilitarian value of the white pine translated seamlessly into the colonial collective while awareness of its spiritual role did not. Going further with these relationships in my mind, I reflected upon the symbolic significance of pines across cultures while considering the current problem of environmental degradation. Compounded to the negative effect of perceptions inherited from colonial dominance, is the threat that plant disappearance and extinction poses to the survival of many cultural values. I began to think about my personal understanding and contributions to solving this loss and I quickly came up with plant science-based answers as dictated by my core academic training. Plants are at the base in the scaffold of life systems by supporting food webs, so focusing on the documented status of plants was my immediate thought. According to academic sources, if plants are lost, the diversity they support may collapse which in turn disrupts the fundamental services that ecosystems provide humanity (Virginia Institute of Marine Science 2011). So, I deduced that to prevent plant loss, simply grow more plants. Prior to my experience with the white pines, that train of thought would have satisfied me. But as I become more aware of plants as spiritual symbols, am urged to consider solutions that go beyond the familiar conventional frameworks at my peruse. We do need to do more planting, but it is also important to honour the plants. I began to think about my experiences with trees. As a Christian, I always valued the symbolism behind Christmas trees, but I did not see them as sacred. This made me ponder upon my feelings about plants and their potential loss. What role do feelings play in motivating me “to fix” the problem of loss? Loss may evoke feelings of grief and guilt. But for this to happen, what is lost must have value. So what value did I normally attribute to plants, or trees? I remembered the white pine, which challenged me to search beyond the tangible. I was surprised at what I discovered. Underneath the biological knowledge and familiarity I had with trees as specimens, I found an authentic sense of awe and respect, plus the awareness of presence. On the other hand, during a recent trip to Toronto, I took a minute to identify my feelings while standing in the middle of a parking lot with no trees in sight. I felt deprived and experienced loss, I feared for the loss of plants in our increasingly urbanized world. It was through the kaleidoscope of these experiences evoking such range of feelings, that I began to see clear connections between culture, sacredness and the motivation to protect plants. On the one hand, plants are healers and providers that facilitate human survival, so in very pragmatic terms, we need to plant and protect plants. But as shown by the Indigenous peoples of Ghana or the Ancient Greeks, humans can see plants as holders of spirits, an intangible value that motivates their protection. For the peoples who venerate plants, there is a conversation that takes place in which plants and people affect each other. From this perspective, the sacredness of plants has given them a social presence across history, affecting history. Considering plants more as actors than static objects has allowed me to engage with the multiple roles of plants and consider plant loss beyond the traditional parameters of science that I was familiar with. This has engaged me in considering new types of questions and deeper motivation to action, such that I can better contribute to alleviating plant and cultural loss. Dallmayr F. (2003) A Global Spiritual Resurgence? In: Hatzopoulos P., Petito F. (eds) Religion in International Relations. Culture and Religion in International Relations. New York: Palgrave Macmillan. Frey, F.M. & Meyers, R. (2010). Antibacterial activity of traditional medicinal plants used by the Haudenosaunee peoples of New York State. BMC Complementary and Alternative Medicine, 10 (1): 64. Gadgil, M., Berkes, F., & Folke, C. (1993). Indigenous knowledge for biodiversity conservation. Ambio, 151-156. Hens, L. (2006). Indigenous knowledge and biodiversity conservation and management in Ghana. Journal of human ecology, 20 (1), 21-30. Karas, S.A. (1991). 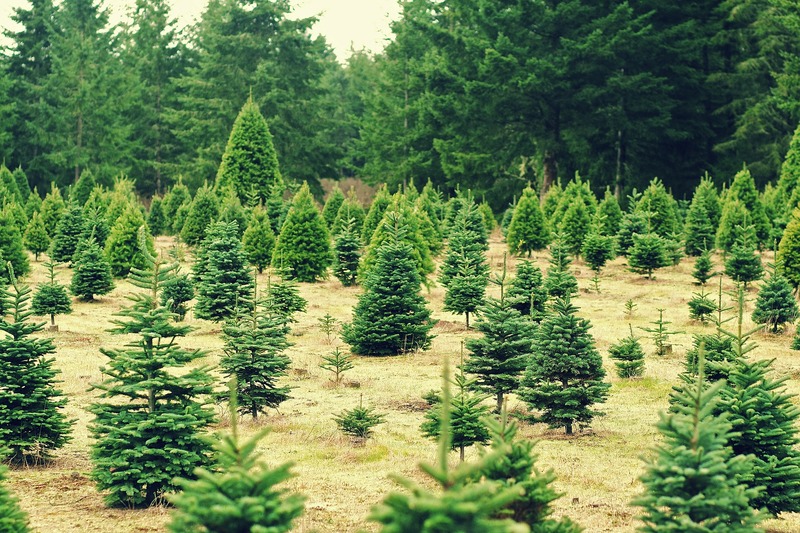 The solstice evergreen: History, folklore and the origins of the Christmas tree. Boulder Creek, CA: Aslan. Millar, C. I., Strauss, S. H., Conkle, M. T., & Westfall, R. D. (1988). Allozyme differentiation and biosystematics of the Californian closed-cone pines (Pinus subsect. Oocarpae). Systematic Botany, 351-370. Morehart, C. T., Lentz, D. L., & Prufer, K. M. (2005). 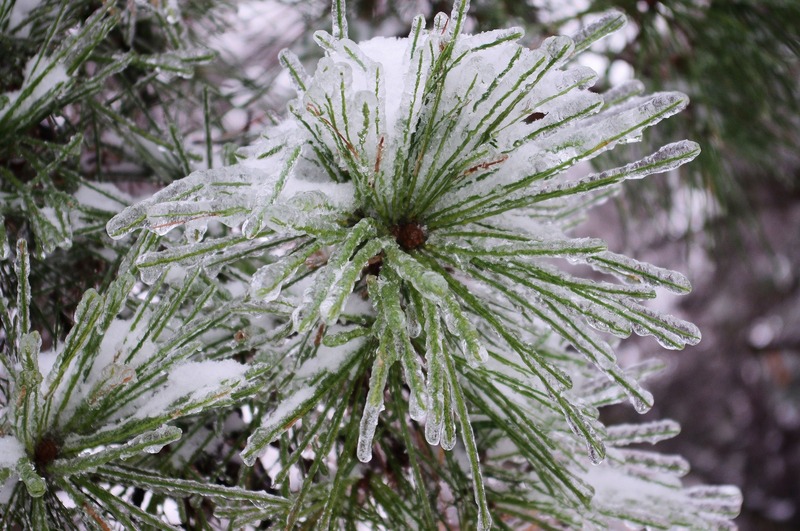 Wood of the gods: the ritual use of pine (Pinus spp.) by the ancient lowland Maya. Latin American Antiquity, 16(3), 255-274. Schroeder, H. (1992). The Tree of Peace: Symbolic and spiritual value of the white pine. In White Pine Symposium Proceedings, September 16-18, 1992. Edited by Stine, R.A. Department of Forest Resources, University of Minnesota. Sheridan, J., & Longboat, R. H. C. T. S. D. (2006). The Haudenosaunee imagination and the ecology of the sacred. Space and Culture, 9(4), 365-381.